Life Hacks - 9 Ways the Library Service can help You! Life hacks are tricks or shortcuts that can save you money or give you a skill or perhaps simply save you time. The Library Service has hundreds of life hacks just waiting for you to discover. We thought we would share some of our favourite library life hacks with you, we hope you enjoy them. 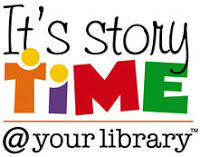 Bring children aged 4 years and above to our revamped storytimes. Firstly launching at Sandhurst Library on Saturday 2nd February then at Crowthorne Library on Saturday 9th February. Both sessions start at 9.30am and will take children around the world with fantastic stories and amazing facts. Participants will be able to get their “library passports” stamped for all the wonderful places they explore. Sessions will run on the first and third Saturdays of the month at Sandhurst Library; and the second and last Saturdays at Crowthorne Library. All sessions are free, no need to book just bring your trepid young explorers along! Use this life hack can help enhance your knowledge and CV skills by signing up to some brilliant courses at The Open Learning Centre. Try the free "Eat and live well on a budget" course perhaps? Charged courses are very reasonably priced. Acquire some new computing skills, train to become a Learning Support Assistant, try your hand at Indian Cookery, get a First Aid certificate or whatever suits you! After the successful Harry Potter events at Binfield and Crowthorne...a further session will be held at Whitegrove Library on Thursday 7th March. Contact Whitegrove Library for further details. A new life hack to Bracknell Library which places people and coffee together for extraordinarily long periods of time, well 2 hours usually! A free event that occurs at Bracknell Library on the first Thursday of every month and is free to unpaid carers, no need to book just come along and relax. The next Coffee for Carers is on Thursday 7th March, 10am-12pm. Why pay for books when you can borrow them for FREE? The same rule applies for our brilliant e-book service, including your favourite Hogwarts e-books, completely free using the BorrowBox app. 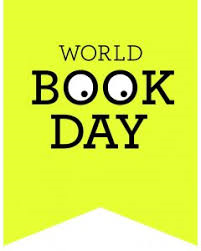 The power of reading is yours and costs nothing! This life hack will enable you to access a range of activities in all our 9 libraries and give you an opportunity to celebrate the magic of books and libraries. Watch out for further details in our next newsletter. A life hack for the problem of not having enough to do over half-term. Librarians are busily preparing to put on many events and activities over the half-term week. Please visit our website for activity listings over half term. Want to get into acting one day? 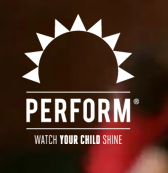 Watch your child shine & build confidence with these FREE Workshops for ages 4-12 yrs, with Gemma from Perform.org. These sessions are FREE but booking is essential. The power to use the library service outside opening hours, possibly the best life hack of them all. 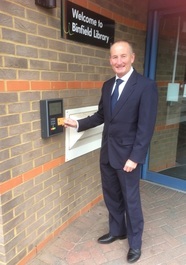 Binfield library was the first in the borough to extend its opening hours, thanks to new technology called Open+. The new opening hours will see library services at Binfield available from 8am to 8pm, Monday to Friday, 8am to 6pm on Saturdays and 10am to 6pm on Sundays. Customers with an e+ card can register to use the service, which will require them to sign a behavioral agreement and set up a personal identification number (PIN) before their first use. Open+ will allow customers to gain entry to Binfield library during unstaffed hours, once their account has been activated. Registered users who then go on to use Open+ by the end of February will be entered into a prize draw to win a Costa Coffee Voucher. Now that would be yet another library life hack wouldn't it? !